PC There are 9 products. Free optional color-coded left and right clicks (plain-black version also available). Fully switch adapted! Ergonomic and easy to use - simply connect to a USB port on your system and you are ready to go. That easy! Instant switch access on any computer (inc Mac). Connect up to 2 switches. 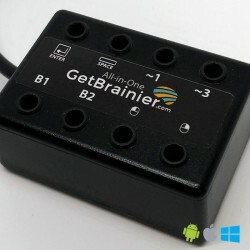 Easy to use and set up - simply connect to a USB port on your computer and you are ready to go. That easy! 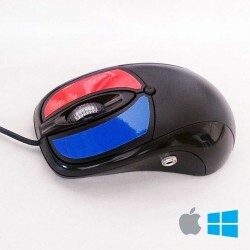 Switch activated Mouse Clicks on any computer (inc Mac). 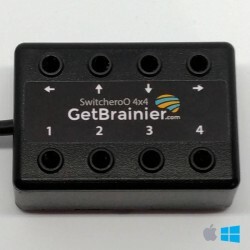 Connect up to 2 standard switches for left and right clicks. Easy to use and set up - simply connect to a USB port on your computer and you are ready to go. That easy! Switch access to every mouse functions on any computer (inc. Mac). Includes double-click and drag-lock functions! Easy to use and set up - simply connect to a USB port on your computer and you are ready to go. That easy! Photo Booth Style USB Push Button (LED lighted) Custom programmed to any keys you desire. Easy Install! No drivers needed! Just Plug&Play! Compatible with win, mac, linux and any other system with USB. Great DIY project. 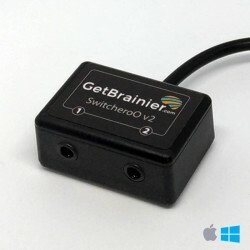 Instant switch access on any computer (inc. Mac). Connect up to 8 switches. Easy to use and set up - simply connect to a USB port on your computer and you are ready to go. That easy! Complete switch access on any computer and device with USB, micro-USB or USB-C plugs. The most complete on the market. 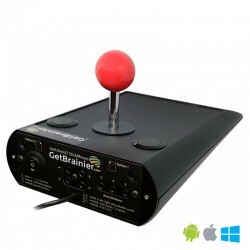 Keys, mouse clicks and joystick functions: All-In-One single compact device! 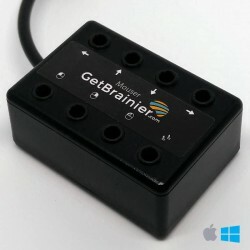 Easy to use and set up - simply connect to a USB port on your computer and you are ready to go. That easy! (some colors are ON SALE!! click color to check prices) USB Push Button (LED lighted) Custom programmed to any key you desire. Easy Install! No drivers needed! Just Plug&Play! 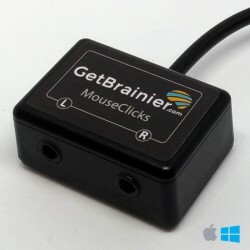 Compatible with win, mac, linux and any other system with USB. Fully control your systems! (run apps/games) Multi-task device for any PC, Mac and Android system. Moreover, all functions are switch adapted! Easy to use and set up - simply connect to a USB port or micro-USB or USB-C on your device and you are ready to go. That easy!